The world is changing quickly. The real estate landscape has never been more competitive or crowded, and the battle for sales is as fierce as ever. But amid all the change—and the noise—one thing’s for certain: RE/MAX is in the game to win it. The global powerhouse is all-in on a vision to equip its 123,000 agents with the ability to do even more and deliver the very best customer experience. RE/MAX is doubling down on its many competitive advantages—high agent productivity, high commission splits, premier brand awareness, an expansive worldwide presence, a one-of-a-kind entrepreneurial culture—to give agents even more: more technology, more marketing, more support, more opportunity. In short, the revolutionary brand continues to lead the way. Nobody in the world sells more real estate than RE/MAX in terms of residential transaction sides, according to the company. And RE/MAX leaders intend to keep it that way. The approach is scoring points. Rolling on 26 straight quarters (six-plus years) of agent growth, RE/MAX ended Q2 with over 123,000 agents worldwide—the highest quarterly count in its 45-year history. Agents around the globe like what they see and are jumping on board. The trend suggests agents are joining not because of where RE/MAX has been—but where it’s going. Ultimately, the quality and productivity of RE/MAX agents is the engine that powers the network’s ongoing growth and industry leadership. Agent productivity is where RE/MAX shines brightest. An illustration: In the 2018 RISMedia Power Broker Top 500 Report that ranked the 500 largest U.S. brokerages by 2017 sales volume, agents at participating RE/MAX offices averaged 16.8 transaction sides each. That figure is much higher than every national competitor in the report. In fact, only one brand had an average within seven sides of the RE/MAX mark. The per-agent average for the entire list of 500 firms: 9.5 transaction sides. Empowering those agents with effective, streamlined tools and systems is a major priority at RE/MAX. The most obvious example of a new, barrier-crushing tech strategy is the February 2018 acquisition of booj. An award-winning real estate technology firm with a solid 12-year track record of exceeding customer expectations, booj is developing a comprehensive ecosystem of scalable tech products on a single, in-house platform—all custom-built for RE/MAX with the considerable involvement of RE/MAX affiliates. 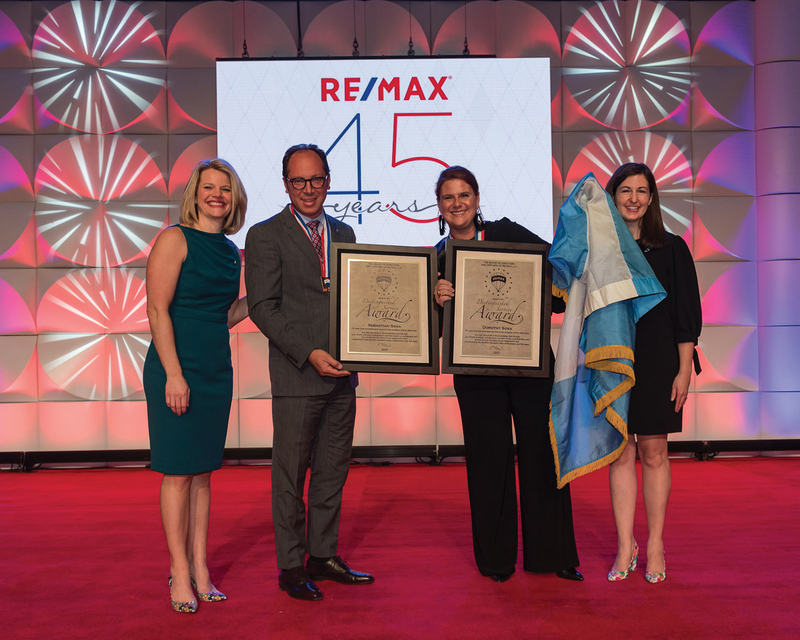 RE/MAX COO Serene Smith (L) and CFO Karri Callahan (R) present an award to global leaders Sebastian Sosa and Dotti Penate-Sosa. The booj platform, currently in development, will streamline every step of the process, from lead generation to post-close nurturing, and vastly improve the experience for all. All booj products are based on a foundation of data analysis, says John Sable, who co-founded booj (which stands for “be original or jealous”) with Ido Zucker in 2005. 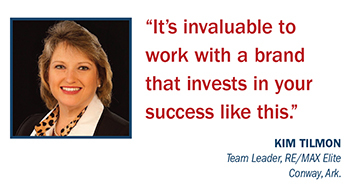 Kim Tilmon, a team leader with RE/MAX Elite in Conway, Ark., sees the booj acquisition as a sign of RE/MAX leadership’s seriousness about raising the technology bar. “It’s invaluable to work with a brand that invests in your success like this,” Tilmon says. 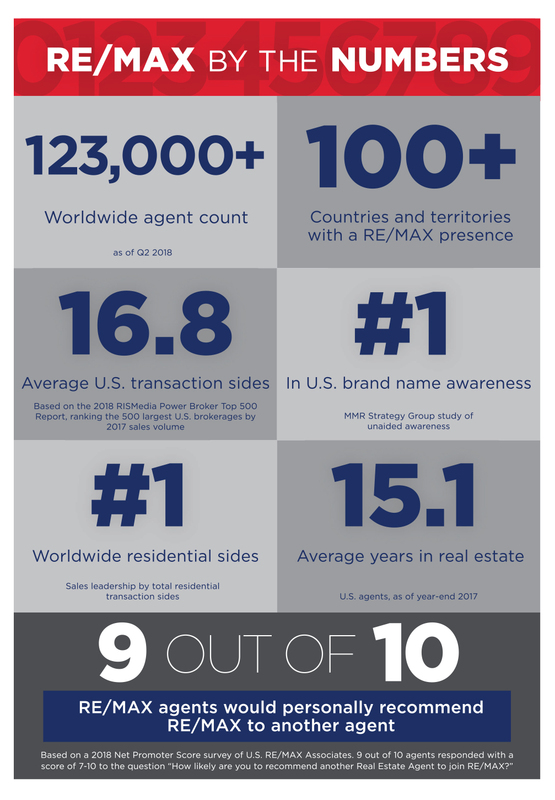 The booj initiative comes on the heels of several other agent-focused innovations RE/MAX launched this year in participating U.S. regions. 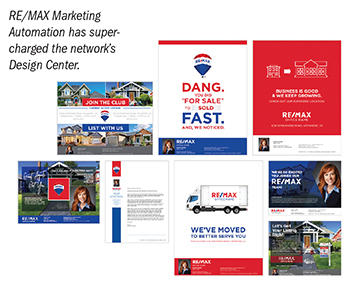 One is RE/MAX Marketing Automation, newly introduced functionality that has supercharged the RE/MAX Design Center, the network’s resource for customizable local marketing materials. Through automation, agents receive a complete marketing package—including flyers, virtual tours and single-property websites—any time they add or change an MLS listing. The materials arrive right in the agent’s inbox. Another is RE/MAX Social Prompt, which creates original, consumer-value content that automatically posts to an agent’s social channels. Both services were initiated with the same objective: to help RE/MAX agents close more sales while saving them time and money. One other new twist: Through RE/MAX Digital Ads, a unique program designed to help sellers see results more quickly, U.S. agents receive a free week of targeted, digital advertising for their new listings, with the option to extend at a deep discount. In the first six months of the program, the ads generated more than 1 billion impressions for 250,000 properties. Along with the innovative marketing services agents use locally, RE/MAX continues to make a big splash on a grander scale—all with the aim of helping agents achieve even more. The longtime No. 1 name in real estate based on unaided brand awareness, RE/MAX develops ubiquitous national ad campaigns that open doors for agents. The 2018 iteration, developed with San Francisco’s award-winning Camp + King agency, goes far beyond TV—with clever, creative content hitting an entire spectrum of media and social media channels. More than $1 billion has been spent promoting the brand through the years, and new ideas and fresh avenues emerge all the time. For instance, RE/MAX also teams with BuzzFeed, well-known for its engaging viral content. The collaboration results in entertaining but strategic social content—quizzes, articles and more—that agents can easily share. A recent video, “Regular People Take a Real Estate Exam,” has been viewed over 1.3 million times. The strategic mix makes a big difference for agents. It also delivers leads—over a million a year, with no referral fees—through the powerful combination of marketing and websites like remax.com, real estate’s most visited franchisor website. 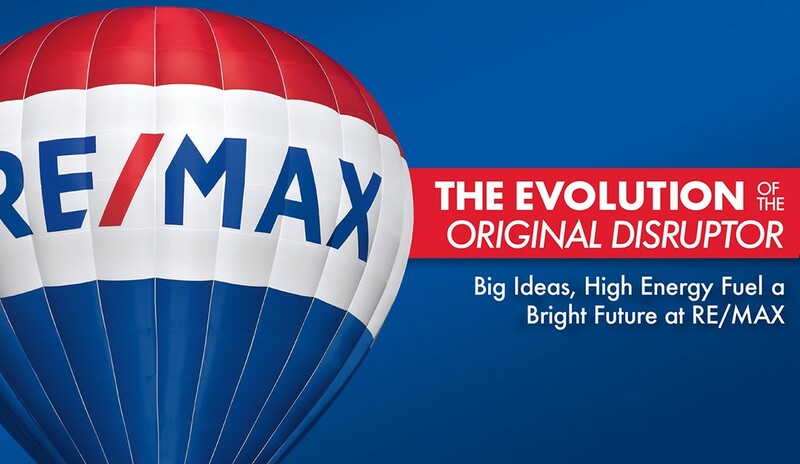 Other branded sites, such as theremaxcollection.com (luxury), global.remax.com (international), remaxcommercial.com (commercial properties), and remax.ca (Canada), all connect consumers to RE/MAX agents and their listings. Those leads are driven to local agents with the skills, knowledge and expertise to guide clients through a complicated process. RE/MAX is the “Home to Top Producers” because it attracts the agents who are committed to going beyond the norm in every way. 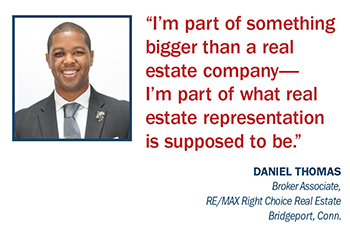 High-quality professionals delivering the best service to buyers and sellers—that was the vision of RE/MAX Co-Founder Dave Liniger from the very start. In creating real estate’s original disruptor, Liniger envisioned a network where experienced, productive agents could keep more of their commissions, enjoy the freedom to run their business as they saw fit and live the lives they wanted. With a flair and work ethic all his own, Liniger built a No. 1 powerhouse in over 100 countries and territories. 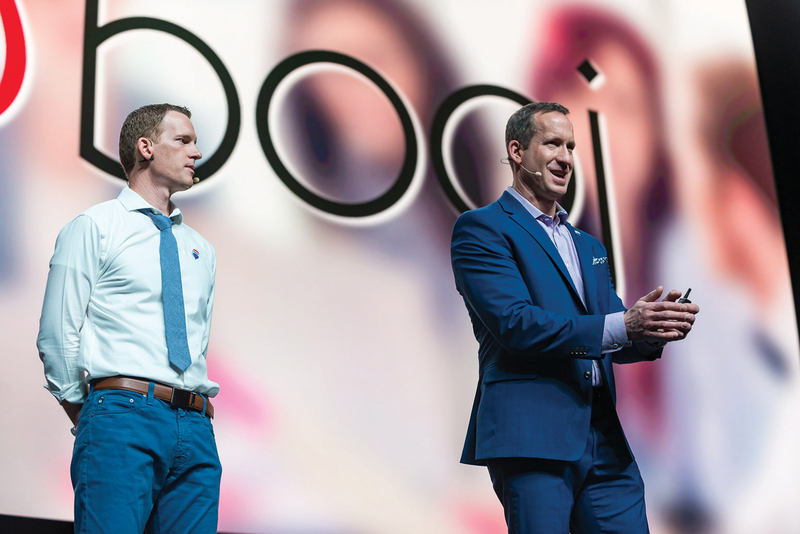 And in February, with a memorable fist bump on stage at the 2018 RE/MAX R4 convention in Las Vegas, Liniger passed the leadership torch to Contos. 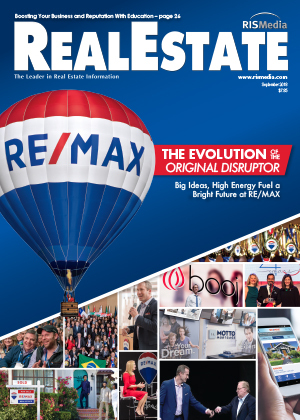 Real Estate magazine: Given the current climate, how does RE/MAX plan to retain its competitive edge? There’s a lot of noise in the industry, and a lot of fear. Fear is just False Evidence Appearing Real. We have no time for it. Disruption? Bring it on. We’ve been disrupting since day one, and we’re not finished­—not by a long shot. Having booj on board will benefit our brokers and agents in ways that go far beyond anything we’ve ever done. We’ll leverage the power and scale of our network to sharpen and expand our competitive advantages—empowering RE/MAX affiliates like never before. You know what matters in our business? Consumer experience. And we see tremendous opportunities to combine great agents and great tech to make that experience better than ever. REM: What’s your vision for RE/MAX? RE/MAX has long been an industry leader, and my vision is that RE/MAX continues to be a destination brand for driven, highly productive agents. To make that vision reality, we’ll provide agents with even better tools and systems, empowering them to create even better experiences for their clients. We’re agile, able to act quickly, open to change and in a position of strength—No. 1 in the world in residential transaction sides. The network includes top producers, extraordinary brokers, worldwide brand presence, competitive advantages that fuel agent-count growth, an expanding global footprint and an entrepreneurial culture built on being the best. By partnering with our brokers, attracting top agents and focusing on the consumer, we’ll increase our lead and help our affiliates achieve even more. The RE/MAX of the future is going to be even better than the RE/MAX of today. REM: What do you view as the biggest challenges for real estate professionals? Competition in real estate has always been tough, but now it’s a whole new ball game. With the changing real estate landscape, it’s vital that real estate professionals provide tremendous value to their customers. Whether you’re a broker or agent, you need to deliver consistent results and an experience that can’t be provided online or by a competitor down the street. Agents and brokers need to stay focused on the distinct value they offer, then take it to the next level. Why do so many of the same agents consistently make the top-producer lists year after year? It boils down to their ability to stay focused and deliver unmatched, consistent value to clients regardless of what’s going on around them. The very first national franchised mortgage brokerage model, Motto Mortgage was introduced two years ago by RE/MAX Holdings. Today, the “mortgage brokerage in a box” is growing nationwide. Another of Liniger’s lasting legacies, the approach at Motto Franchising, LLC is aspirational. From more transparency and convenient loan options for consumers to providing real estate agents with access to mortgage professionals, this innovative model is breaking the mold. At its core, RE/MAX is a people company, Contos notes. Agents, brokers, buyers, sellers—they’re all central to the brand’s “Everybody Wins” foundation. The power of the network—filled with hard-charging agents focused on service and helping others achieve their goals—can’t be replicated. Not by a startup. Not by a boutique firm. Not by a discounter. Not by any competitor. It’s a network of people who want to do more—and want to be more. Agents like Thomas—driven, committed and aiming high—are the network’s most enduring strength, Crowe says. Every day, RE/MAX agents around the globe are hustling to make things happen. And behind those entrepreneurs—guiding homebuyers and sellers through a complicated process—is a brand devoted to their success. “Look, consumers drive disruption through their choices,” Contos says. “And that sounds good to us, because RE/MAX is all about finding better ways to elevate the consumer experience. We’ve been doing it for decades. The flagship remax.com site drew over 90 million visits last year. According to Hitwise data, it is the No. 1 real estate franchisor website. That traffic contributed to over a million fee-free leads being delivered directly to agents. RE/MAX has a global presence in over 100 countries and territories. It includes more than 50,000 affiliates outside the U.S. Many of these affiliates are pioneers who are raising standards and revolutionizing the industry in their home countries. The global.remax.com website features over 800,000 property listings from around the world. Potential buyers can view the listings in their own languages and currencies. The RE/MAX Collection luxury brand provides agents with elegant marketing materials, business-building education, networking events and a dedicated listing website at theremaxcollection.com. 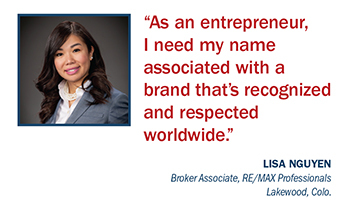 RE/MAX Commercial is a network of more than 3,300 practitioners in more than 650 commercial offices and divisions. In 2017, they closed 32,900-plus commercial sides for over $13.4 billion in volume. A major resource: remaxcommercial.com. RE/MAX agents and brokers help millions of kids each year through their support of Children’s Miracle Network Hospitals. The partnership has been changing lives for 26 years. With 75, RE/MAX had more individuals in the 2018 NAHREP Top 250 Latino Agents rankings than any other brand. The same was true on the NAHREP Top 100 Latino Teams list, where 30 RE/MAX teams were honored. RE/MAX University features more than 1,000 videos and offers 70-plus professional designations and certifications on its digital, on-demand platform.